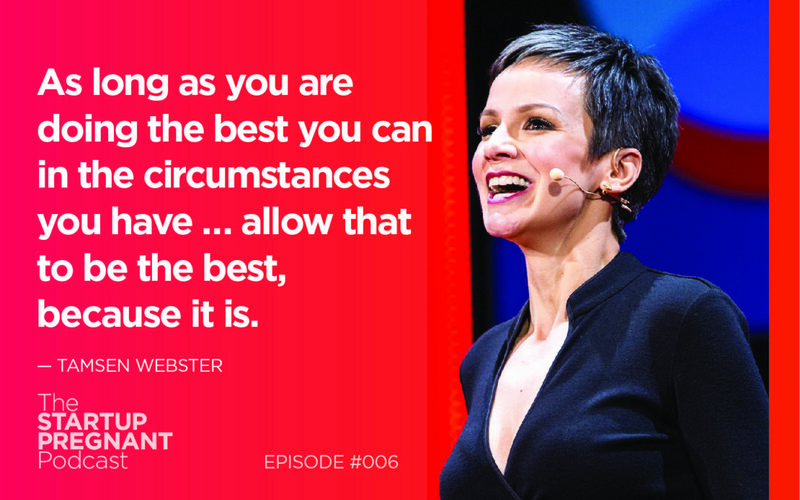 Tamsen Webster, the Executive Producer of the oldest and one of the largest locally organized TED talk events in the world, is self-described as “pattern-driven,” and likes to have a plan. Today, we talk about her journey into parenting, and how her ideas for pregnancy (and even marriage) were very different than reality. She dove into her first pregnancy with a plan: she would have a natural birth and breastfeed her baby, as the research suggests. Her employer was supportive, agreeing to a shifted schedule when she returned from maternity leave. But nothing went according to plan. And later, when she returned to work, Tamsen discovered she had a new boss who wasn’t okay with the predetermined agreement. I ask her how pregnancy and motherhood prepared her for entrepreneurship and why we have such a narrow view of what it means to have children. Learn how the divorce made Tamsen a better mom, and listen in for her take on doing the ‘right thing’ as a parent. The birth of her second son presented its own set of unexpected circumstances, and having kids exposed cracks in her marriage. Tamsen made the difficult decision to leave, but the resilience she gained from surviving those challenges, and the support of her second husband, helped give her the courage to take the leap into entrepreneurship. Today, Tamsen Webster is a sought-after keynote speaker, ‘idea whisperer,’ and message strategist. She helps people and organizations like Verizon, Ericsson, and Disney uncover and communicate the power of their ideas. Tamsen also serves as Executive Producer of TEDxCambridge, one of the largest locally organized TED events in the world. What about you? How have you been “knocked sideways” in your entrepreneurial or parenting life, and how have you recovered, changed directions, or grow as a result? Leave a note in the comments or share the episode wherever you listen to podcasts!